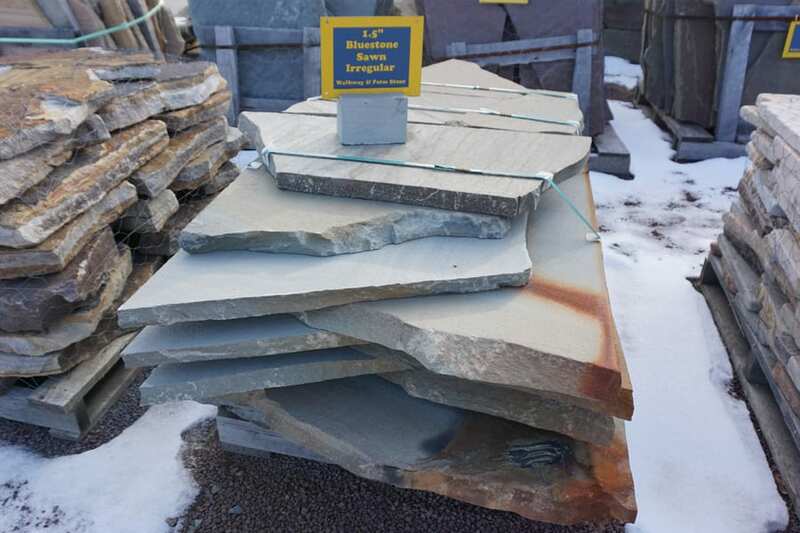 Bluestone Sawn Irregular Walkway, Patio and Garden Path Stone is sawn top and bottom at precise thicknesses (1.5"), but has completely irregular edges. Ideal for patios with a concrete foundation. Uniform rise makes the stone easier to work with. Striking color and gradients often with earth tones. A beautiful stone. Bluestone Sawn Thermal Irregular Walkway and Patio Stone - Horizontal Pallet. 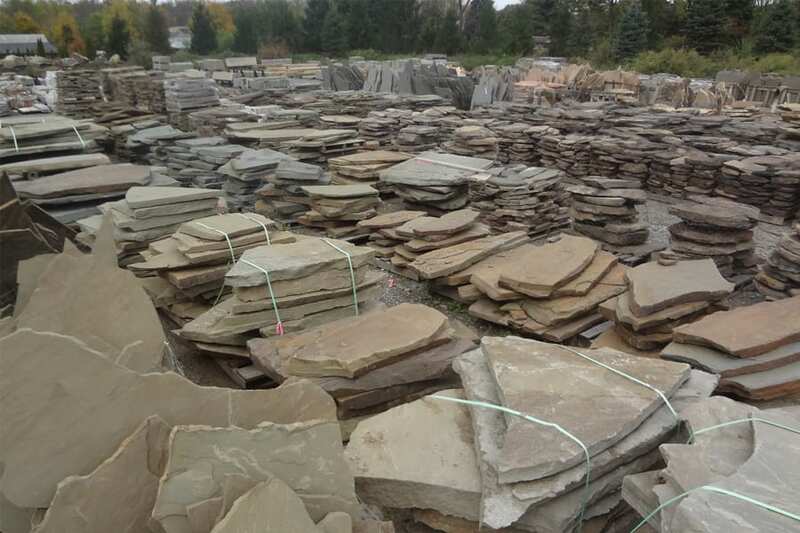 Also called Bluestone Sawn Thermal Garden Path Stone. Irregular Bluestone sawn top and bottom and then heat treated to add a slight texture. Overall very smooth, which some people prefer to the rougher service of most of our garden path stone. 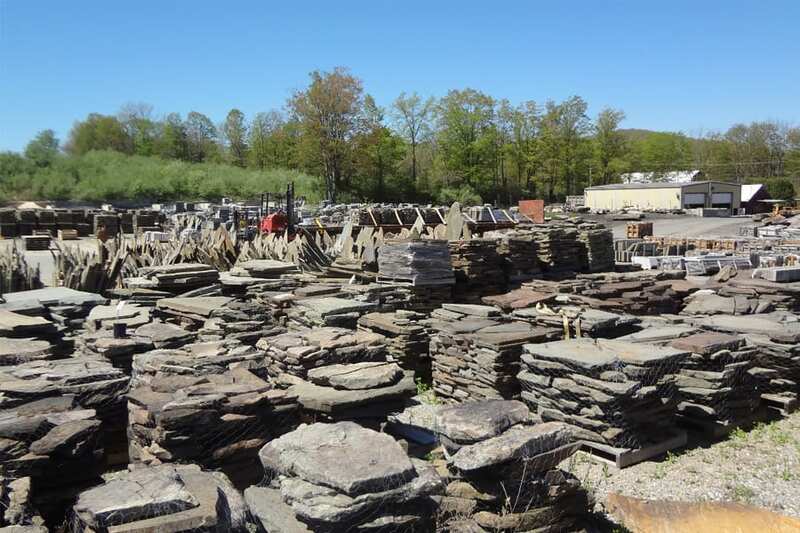 Pieces are typically 1.5" thick, and average coverage of a pallet of this thickness is roughly 100 - 150 square feet.